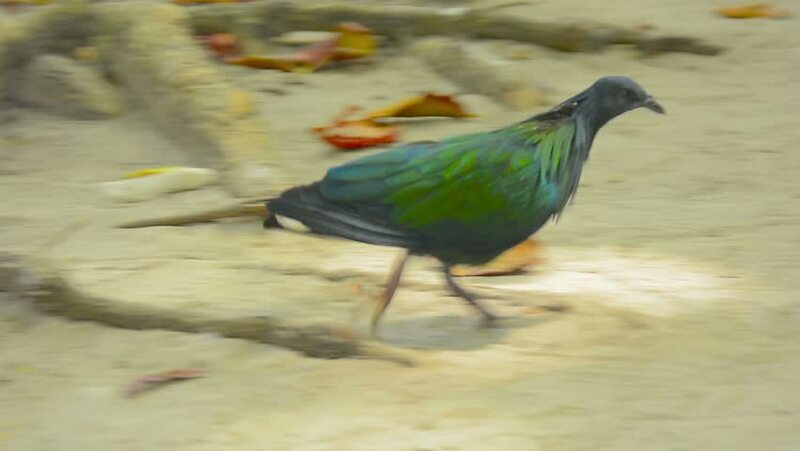 FullHD video - Beautiful and colorful Nicobar Pigeon. with it's iridescent plumage. walking quickly through the sand and stopping to peck at a potential snack. 4k00:09Pheasant-tailed Jacana (Hydrophasianus chirurgus) on lotus leaf at wetland in the breeding season.